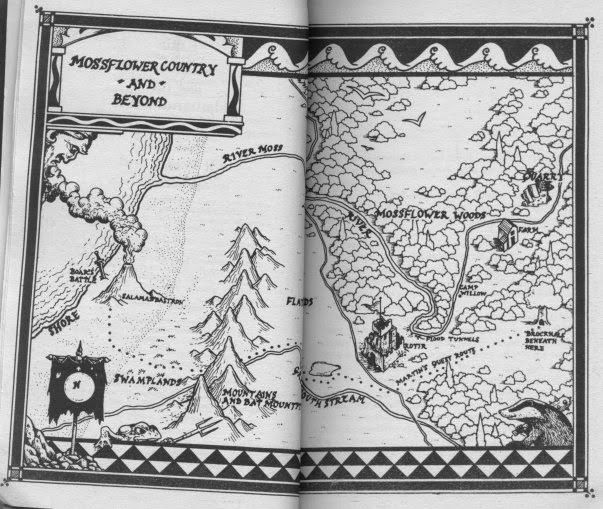 When I was a young teen I had read a few Redwall books, about 5 or so. I still own some of them and I’ve acquired a couple other ones since then but I haven’t read them yet. I remember enjoying them. They weren’t my favourite but there was something about those books I’ve always like. They felt comfortable and safe to read. They were very pleasant. Somewhere along the line my tastes in books must have changed. I’m certain of it and it’s a good thing. My growth as a reader has left me pleasantly surprised quite a few times throughout the years and it’s helped me discover several authors and series I otherwise would have remained oblivious about. It’s also helped me focus my hobby on books and comics that I have a chance of enjoying. It might seem contradictory that I’ve become more interesting in trying new books and authors while also being very adamant on avoiding certain other kinds of books and authors but it really isn’t. It’s just being a smart reader. You won’t love or even like everything you read and there really isn’t any point in trying to like something that you’ll likely never be able to enjoy. I’ve read books in the past, and I’m sure I’ll read more like it in the future, that I didn’t enjoy reading but the experience was still rewarding. Examples of that can be difficult books or books which entertained while also presented ideas, values and philosophies that I disagree with. It can be hard to separate the work from the author or the author’s ideas. Sometimes it’s worth it and other times it’s not. I mention all of this because I want to point out that while individual readers and authors change over time be it slowly or rapidly. On the other hand books are static but changes in a reader can also affect books. It can help you see them in a new light, find deeper themes present below the surface and develop a new appreciation for a specific book. The opposite is also true. A reader can revisit a book, series or author only to find that they’re no longer able to enjoy or appreciate them. That’s essentially what happened with the Redwall series by Brian Jacques when I read (or reread, I honestly can’t remember) Mossflower. Like many early Redwall novels, it begins with the hero Martin the Warrior. 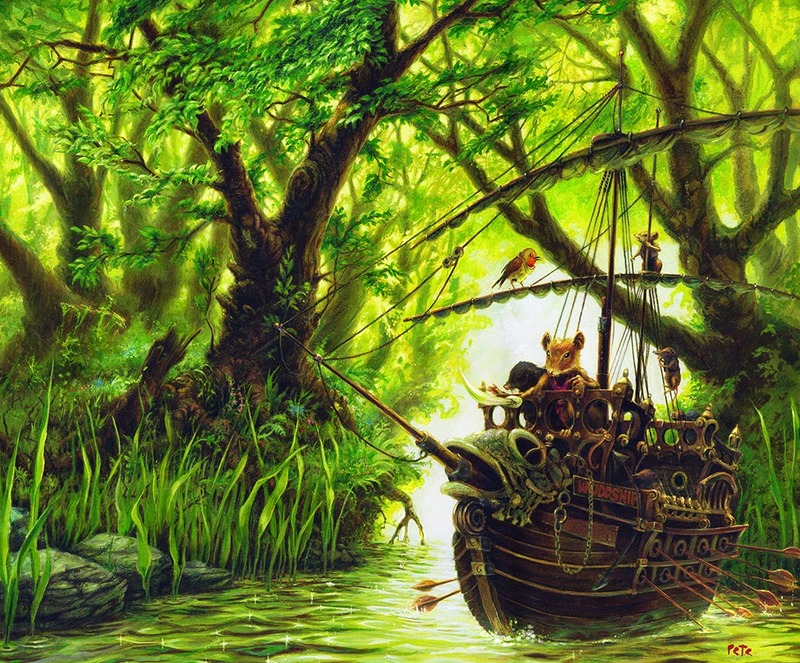 He is on his way passing through the land of Kotir, right next to Mossflower wood. There he is stopped and taken to Kotir castle where he is imprisoned by Tsarmina, a wildcat who plots to kill her ailing father and take the throne for herself. She does and soon the land of Kotir suffers under her tyrannical rule aided by her Thousand Eye army. Heavy taxes are extoled from the population and soon all of the good beasts (moles, hedgehog, squirrels, otters, etc.) flee to the security of Mossflower. It’s not long before Tsarmina extends her rule to the woods and in doing so capture Gonff, a mouse thief. Through meeting Gonff and breaking out of prison with him, Martin befriends the rest of the good beasts of Mossflower. They recognize that he has the spirit of a warrior and enlist his aid in freeing their land from Tsarmina. What follows is a simple fantasy story about good versus evil. A character is immediately considered good or evil based on the kind of animal they are. Wildcats, rats, weasels are all evil (with the single exception of Gingeviere) and otters, hedgehogs, mice and badgers are good. Good always finds a way to triumph evil more than in any other fantasy I’ve ever read. They manage to do so without being portrayed as evil or even morally grey by the author even though the good beasts use the same wartime tactics as the evil beasts. There is definitively some authorially mandated hypocrisy at work and I think it goes against the story and its themes of camaraderie, friendship and freedom to live peacefully. Jacques does a great deal of good things in Mossflower. It might be a simple read targeted at younger readers but it does that what it sets out to do very well. The book is filled with songs and poems and some of the animal species talk in funny dialects, the moles especially. Their dialogue is quite fun to read aloud. There are also mouth-watering descriptions of various meals. I’m surprised any of the good beast are able to fight off the Thousand Eye army as they should be too fat and bloated to do much of anything. There is also a good and balanced representation of the sexes. Characters, good and bad, are given equal opportunity to be either male or female. The villain is female and some of the leaders of the good beasts are also female. They’re not always in the spotlight but truly, few characters are as the cast is quite large for a young adult novel. Even so, the female characters get to play important roles in the story and in the hierarchy of the social groups. 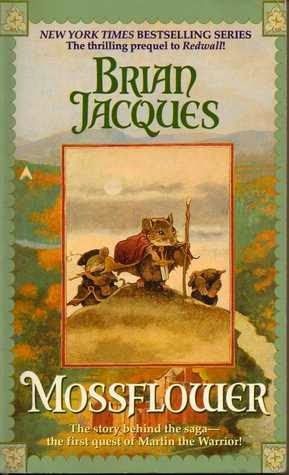 Mossflower serves as a good introduction to the series as it tells the original of Redwall Abbey. It’s a bit long and meanders around the middle and the ending feels abrupt. It also lacks depth of characterization as few characters are explored beneath the surface. For what it’s worth, I enjoyed it because it tapped into my inner child and while I found the book to be predictable and unoriginal in its plotting, it was still satisfying on some level because of the way the story was told. The good beasts of Mossflower are contagiously positive and kind. It’s a good message for young readers. Even during battle the hero of the story, Martin avoids being cruel. Their goal in fighting the Thousand Eyes army is to regain their lands and live in freedom, not to return cruelty in kind to those who first stole their lands. Mossflower is a good book and it can easily be enjoyed by many readers, particularly those that are willing to overlook its simplicity and enjoy the story being told. The story and the approach used by Jacques to tell the story are both simple and there is very little, if any, subtext present. The anthropomorphized characters are not used as an allegory like it has been the case with several literary classics. Some people have opined that Redwall is Christian literature. I would disagree but the series still presents a rather rigid, black and white, world view. Because of that the book holds no surprises and only the present matters. That’s why the novel’s pacing is so quick. Something happens and we move on to the next plot point. It gives the illusion that the novel is engaging when in fact, it’s simply providing light and admittedly fun entertainment. Mossflower isn’t bad I can’t recommend to just anyone. It’s target audience is rather specific: young readers. I doubt that anyone above 14 could truly love these books. Nonetheless they have quite a bit to offer to young readers, especially those which parents who are willing to read with them and have fun reading aloud all of the various animal dialects, particularly that of the moles.